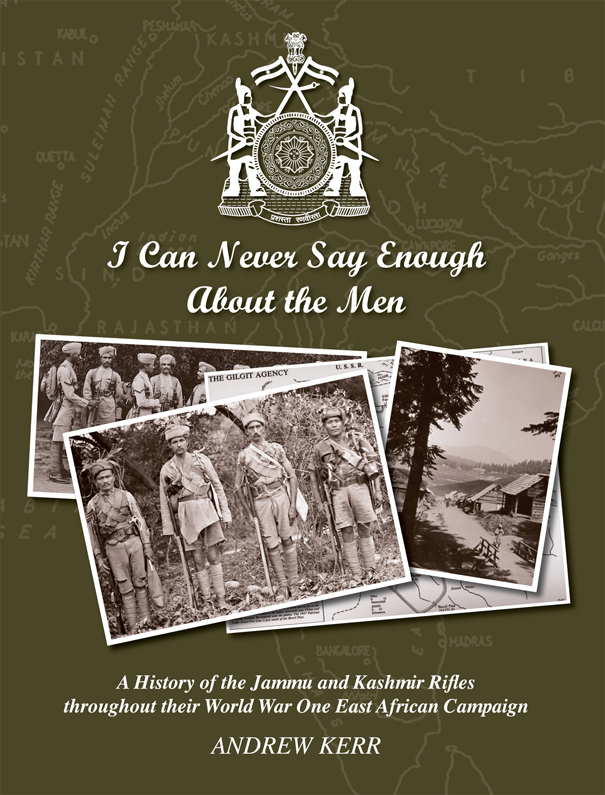 The Kashmir Rifles were the private Army of the Maharajah and were led by their own Kashmiri officers. 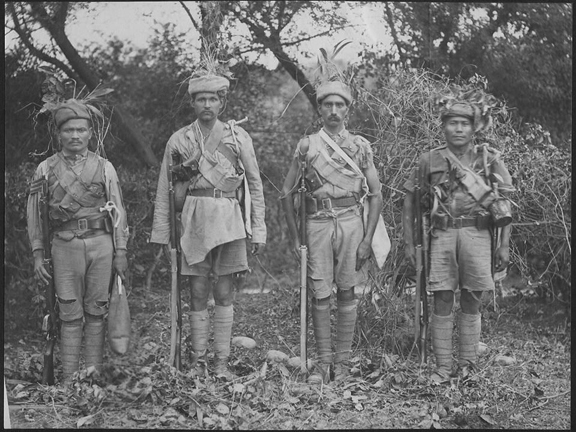 They were deployed to East Africa in 1914 as part of an emergency Expeditionary Force assembled in Bombay. The story of the Regiment in East Africa is told for the first time and Andrew Kerr has spent six years researching and assembling these materials. The book uses over 100 photographs and tells of incredible endurance and suffering. The regiment had only 20 fit men left standing after a campaign that lasted 30 months. To develop an understanding of what happened the author spent forty days following the Kashmir Rifles in East Africa and Kashmir itself. He even managed to join today’s regiment on United Nations operations in the Congo. The book will appeal not only to the specialist military enthusiast but will also be really enjoyed for its photographs and the fresh understandings it creates of the imperial culture of 100 years ago. The Regiment today has 25 Battalions and so is approximately the size of Britain’s entire force of Infantry. It is the only private Army that survived Independence and is called the JAK Rifles (Jammu and Kashmir). They continue to be an all volunteer force and have a reputation for endurance and cheerfulness. "This book is dedicated to the memory of those many millions of Indians who volunteered, fought and suffered in both World Wars"